Raiders of Les Arcs. 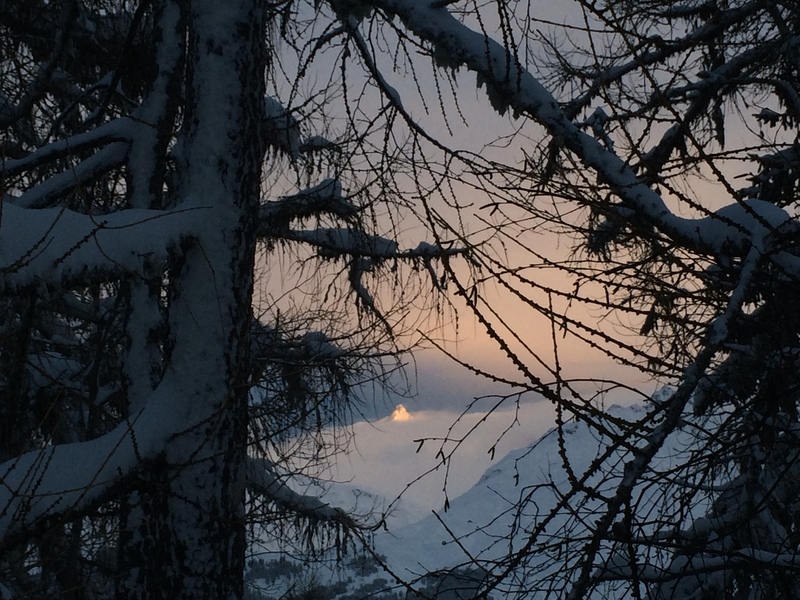 We recently returned from a fun winter break at a great resort in France called Les Arcs. 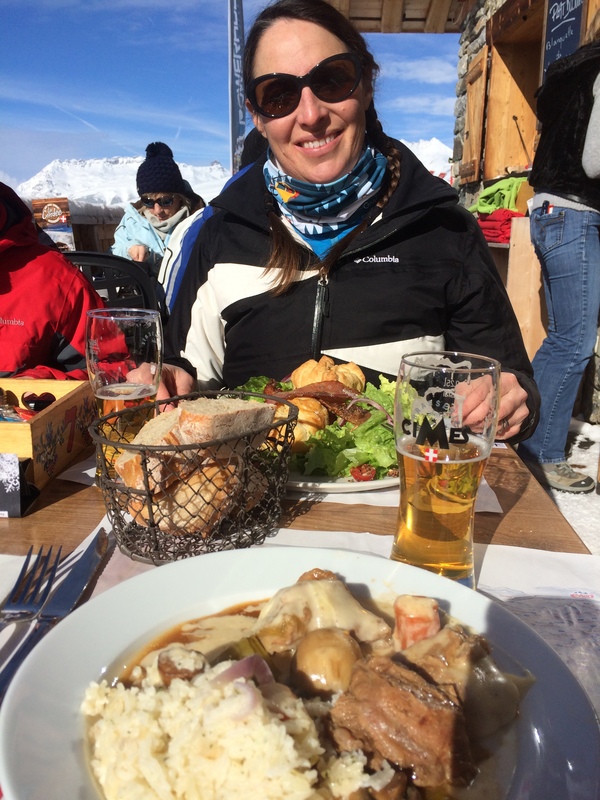 We scheduled this ski week a year ago, fearing that we’d miss out on booking accommodation – probably not neccessary, but my only regret is that we missed out on what apparently is a very fun Carnaval celebration here in Fribourg. Oh well, we aren’t really known for staying home during a school break. We found Les Arcs by Googling various word combinations such as “best family ski in ski out Alps.” Heavily in its favor: French-speaking, drivable from Fribourg, the high altitude more or less guaranteeing snow and the fact that a great Swedish movie, Force Majeure (2014) we’d just seen had been filmed there. 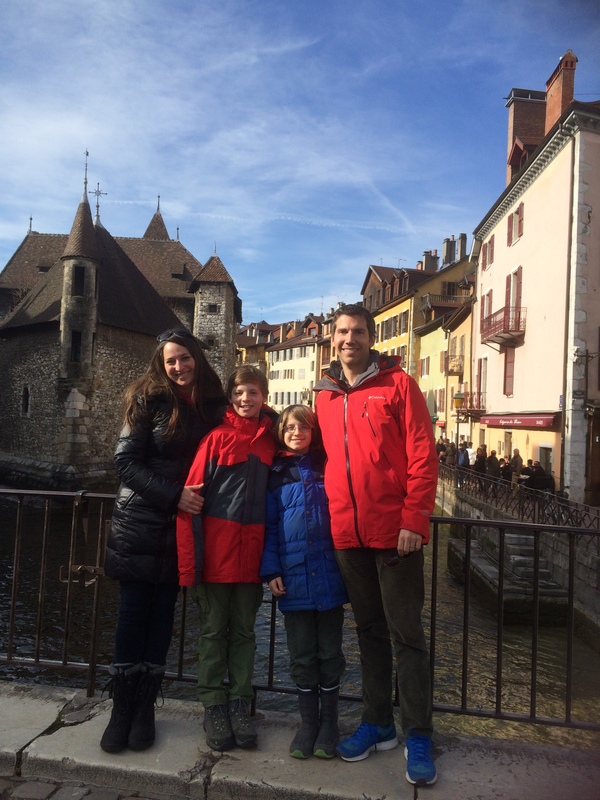 While the weather was not ideal the week we were there – especially from my fair-weather-skier perspective (I grew up spring skiing in California’s Lake Tahoe) – the resort was fabulous. It’s part of the huge Paradiski (the “2nd largest linked skiable domain in the world”), with views of Mont Blanc and surrounding peaks. And the weather is something that I apparently can’t control, despite my best efforts. 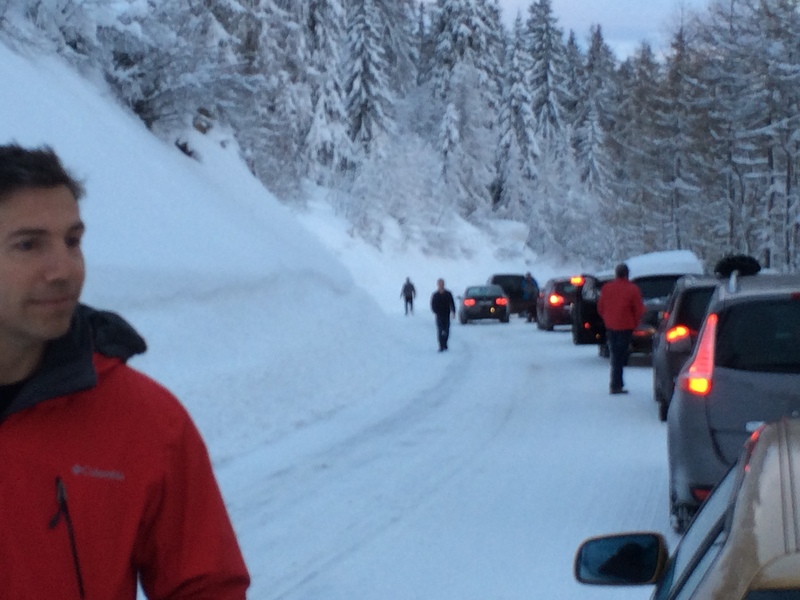 It should have been a four-hour drive from Fribourg (two hours from Geneva), but most of Europe goes on winter holiday at the same time, and much of it goes skiing in the Alps. The traffic getting there wasn’t too bad, and our route took us right through the heart of one of the most beautiful towns in France (in my humble opinion), Annecy. We stopped for a lovely lunch and stroll. 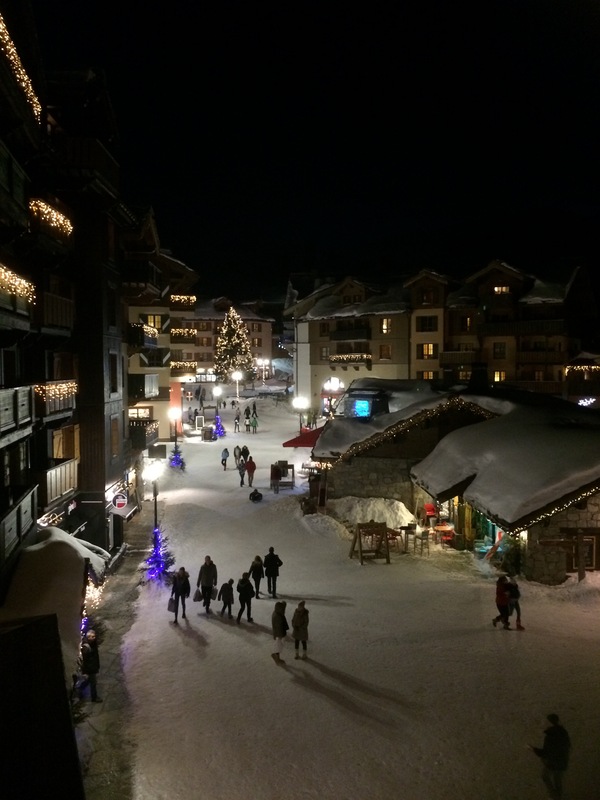 We chose Les Arcs 1950, as it was the best reviewed of the four Les Arcs villages. 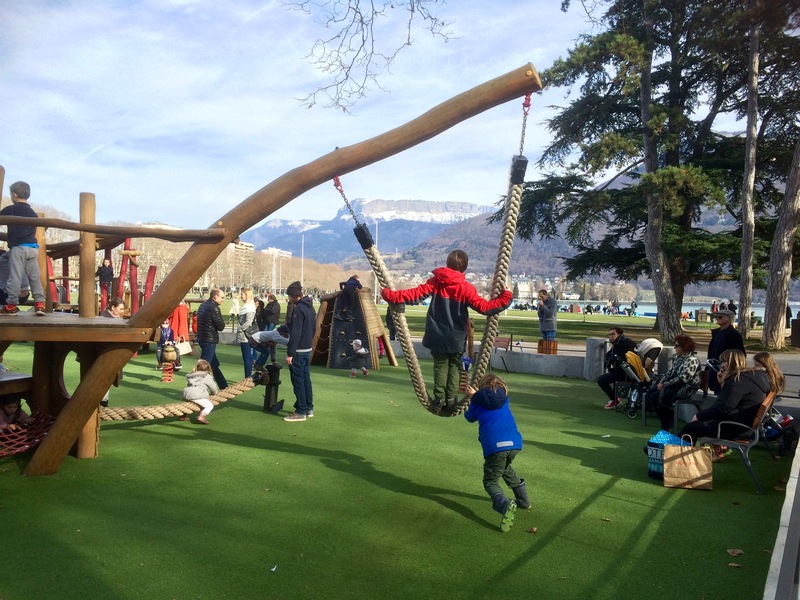 While it is definitely the most charming and very well-suited to our needs, there are plenty of advantages to the other, bigger villages and the non-Les Arcs Paradiski communities as well. The key for all of them was the ski in/ski out aspect. It was FANTASTIC to be able to leave the car in the garage all week, put on our skis whenever we wanted, and pop into the apartment for lunch or whatever. I don’t understand why there aren’t more ski resorts set up like this, particularly in the U.S. 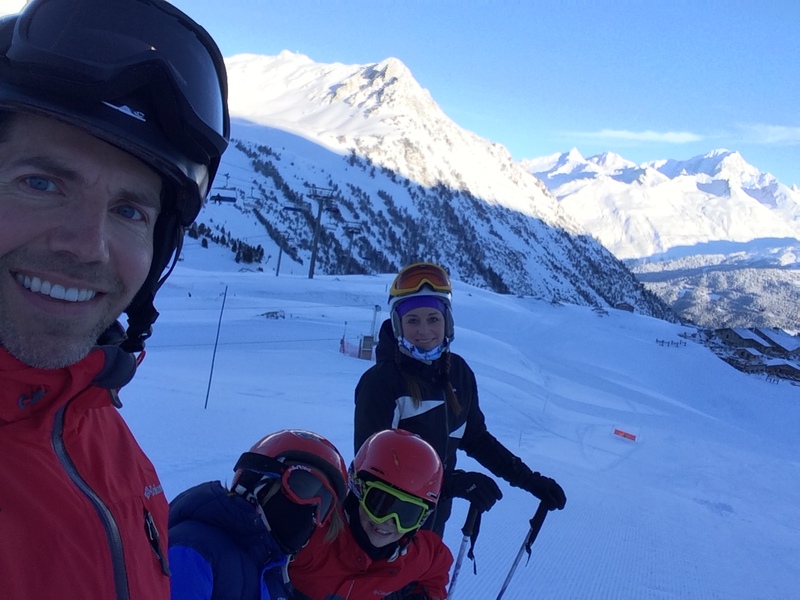 The kids had so much freedom this way – after their ski lessons, we’d usually meet them back in the apartment for lunch, but it didn’t really matter if we were late or if Ernst wanted to go play in the snow for a while. It allowed freedom and autonomy. It was a cool set up – we’d actually booked a privately-owned flat through HomeAway, but you can book directly with Radisson Blu or Pierre et Vacances. All the apartments in the complex operated like a hybrid of independent condos and hotel, with a reception desk, cleaning once during the stay, laundry facilities, a pool and a “not-tub” – Fritz’s name for the hot tub that unfortunately was not at all hot (so we only used it once). 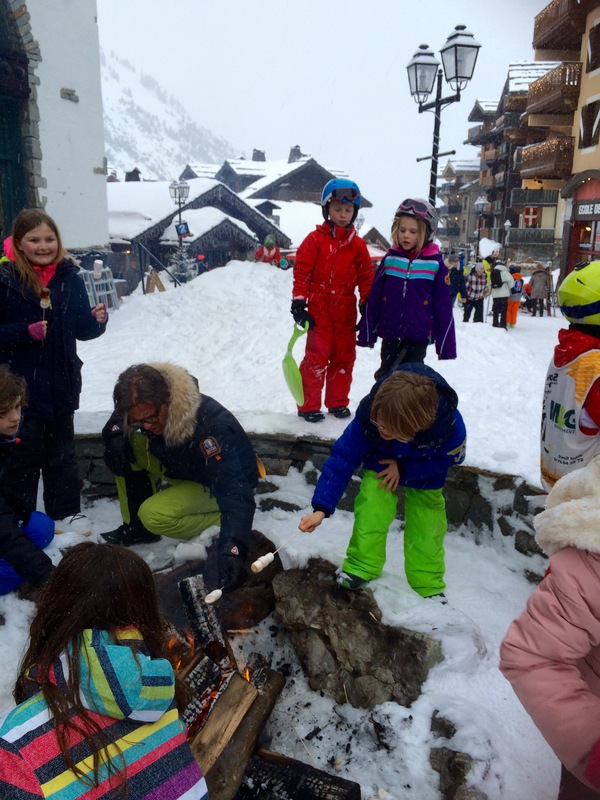 They run free kids’ activities every evening, such as marshmallow roasting (and complimentary mulled wine for the adults! 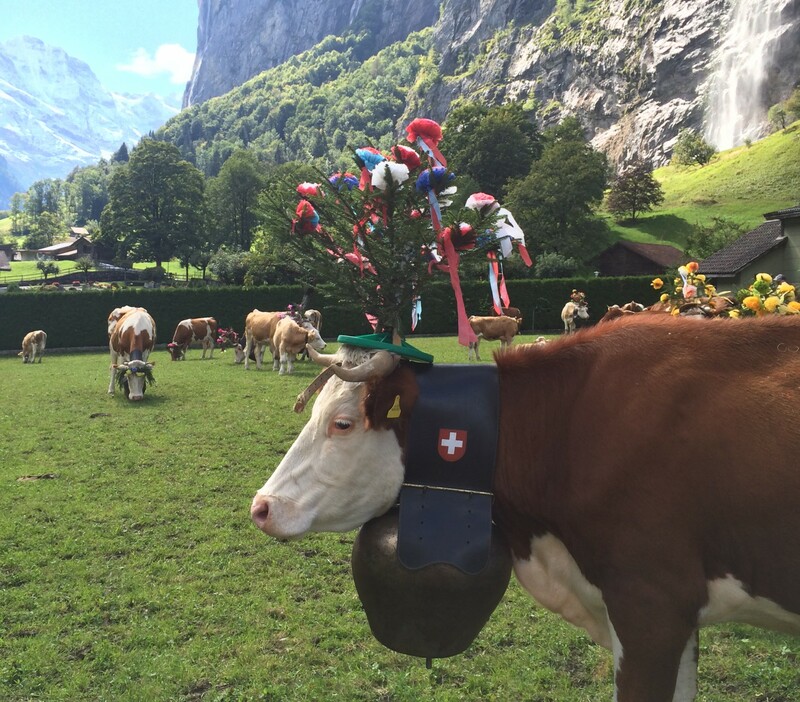 ), a sledding contest, a dance, etc. Our village had a grocery store, a bakery, more restaurants than we could try in a week and a bunch of ski shops (not much diversity in the shopping area… but I am not much of a shopper anyway). 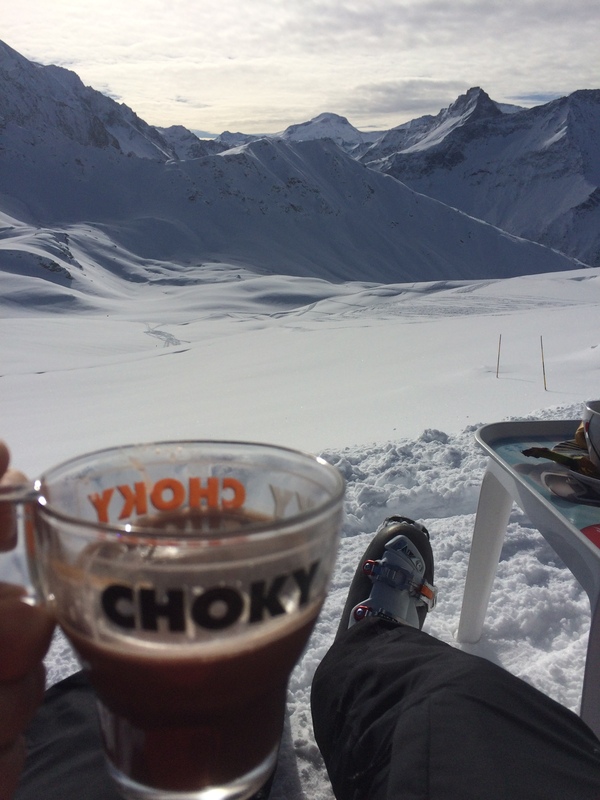 The other Les Arcs villages (1600, 1800, and 2000 – referring to their respective altitudes in meters) are bigger, albeit less charming, and easy to explore during the ski day, and there are plenty of great lunch and hot chocolate options “on piste” (mid-ski-slopes) throughout. (Great planning resources for me were the poor layout but unusually-friendly Snowheads forum for resort-specific advice and Snow-forecast for weather). The skiing was great, and it was easy to get from one section of Paradiski to another, weather permitting (they closed the highest lifts in strong winds). Unfortunately, my iPhone ran out of batteries in the middle of our longest ski day, stopping my handy dedicated Paradiski app before lunch, so I can’t even brag about how many miles we skied that day. But I can tell you that we’d often ski for 40 minutes straight before getting to another lift, and we logged 30 kilometers on our last morning. The runs were varied – the resort straddles the tree line, so you could choose to go with unobstructed views above the trees or fun winding-through-the-forest runs. Unfortunately, we only had one morning of glorious weather and stunning views. The rest of the time, it was overcast, snowing and/or blizzard conditions. But wow, did we appreciate that one morning! 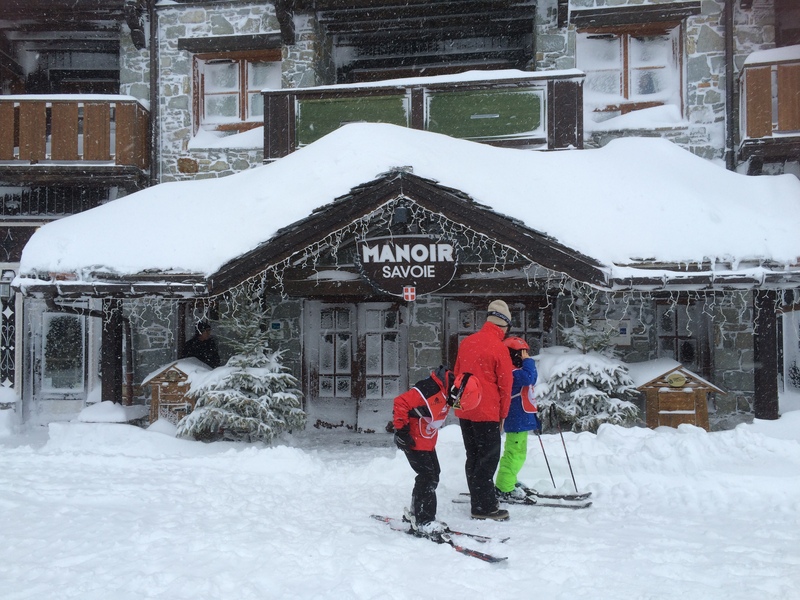 The lifts we took on our longest ski day, venturing into the La Plagne part of Paradiski. (Runs not shown due to battery dying). 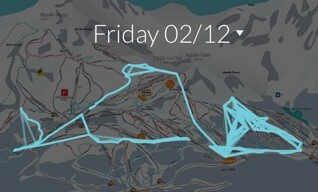 This was just one morning (2.5 hours) of skiing (shows lifts & runs). 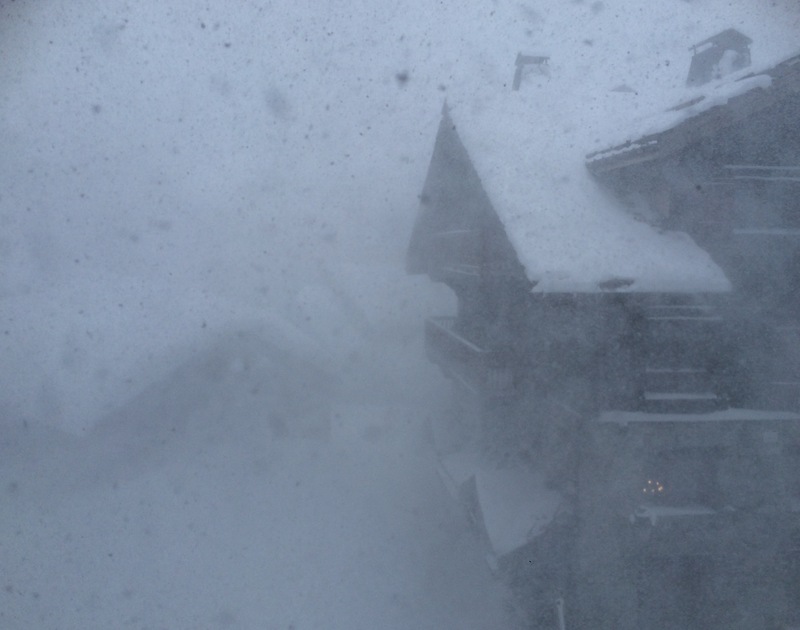 This would be an afternoon we did not ski (view from our room). Wisely, we left for our return trip home at 7:20am… unwisely, it was too late to avoid the horrific traffic, due to all mountain rentals ending at the same time, all resorts pouring into the same valley escape route and possible accidents along the way. Eight hours of driving. Not for the faint of heart, our 1999 car’s defrosting/dehumidifying system does not exactly function, especially when it’s raining. Which it was. Picture PapaHatch and me, furiously wiping the inside of the windshield for hours. Worth it, but ouch. … but at least it was pretty while we sat in traffic. The Hatchventures are never-ending!! Amazing pics, amazing post!